To celebrate the publication of The Classical Music Lover’s Companion To Orchestral Music, we asked Robert Philip, scholar, broadcaster and musician, to curate a playlist with masterpieces of the core orchestral repertoire from 1700 to 1950. In this annotated playlist, he explains why the selected pieces stand out for him and what they evoke. Have a listen to the full playlist on Spotify and read on for more details on each piece! This was the first symphony I ever got to know, at the age of seven, when LPs first became available. I remember putting on the record and feeling that I was setting off on an immense journey, and the opening of the symphony still seems just like that every time I hear it. This is the most compact and immediate of Mahler’s symphonies. It culminates in a setting of a poem evoking a child’s vision of heaven, and the whole symphony conveys a sense of striving to recapture a memory of lost innocence. This evocation of daybreak is perhaps the most perfectly imagined crescendo in the whole of music. From the quiet rippling of brooks, it proceeds in a series of sustained waves to a climax of the utmost splendour. Rachmaninoff’s most popular work is a powerful example of a brooding, late-Romantic concerto, but also a supremely well-crafted work. Rachmaninoff was also one of the greatest pianists of his time, and he wrote this concerto for himself to play. Bartók composed music of wonderfully earthy strangeness. This is one of his eeriest movements. It is like spending the night in an enormous cave, with dripping water, flutterings of unseen creatures, and sudden explosions. Behind Elgar’s façade, with the imposing moustache and country tweeds of an Edwardian gentleman, lurked a much more interesting and uncomfortable figure. His attempts to grapple with his problems found the most perfect expression in this movement for strings, by turns energetic and wistful, and with a sense of mighty aspiration. Stravinsky composed this piece in memory of Debussy, and described it as ‘an austere ritual, which is unfolded in terms of short litanies’. The answering choruses of instruments, and the impression of chanting, evoke the memorial service of the Russian Orthodox Church. In the poem by Mallarmé, a faun (half goat and half human), pursues a pair of nymphs, and, as they flee, abandons himself to dreaming. 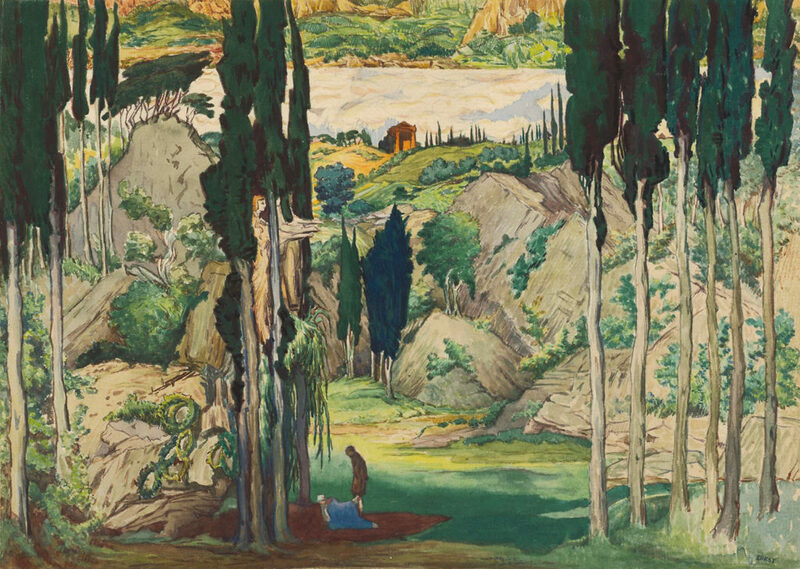 In his earliest international success, Debussy explores the elusive eroticism of the poem, with a sublime range of orchestral and harmonic effects, and with a solo flute suggesting echoes of the god Pan and his pursuit of the nymph, Syrinx. 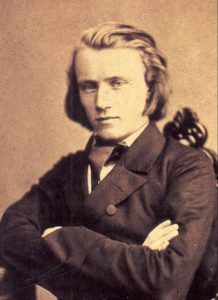 This is perhaps Brahms’s greatest work, a wonderfully muscular and passionate symphony that brings together the classical craft of Beethoven with the fluid Romanticism of Liszt and Wagner. Mozart was one of the first great pianists, and whenever I listen to one of his piano concertos, I remember a contemporary description of his playing, with ‘the most beautiful, most eloquent expression, and a sensitivity that went straight to the heart’. This movement illustrates those same qualities, with its lovely dialogue between the wind instruments, and its serenity touched by moments of darkness. It was Haydn more than any other eighteenth-century composer who enlarged the possibilities of the symphony and set the scene for its development by Beethoven and later composers. This movement shows Haydn in festive, quasi-military mood, but with delicate and plangent digressions that create a magnificent sense of developing drama. Although there are no singers, this orchestral piece is as vivid as any operatic scene. Berlioz depicts Romeo and Juliet’s meeting with surging waves of passion, tenderness, regret and anxiety. Mendelssohn was inspired by the grandeur of Fingal’s Cave, one of the great sites of Scottish Romantic myth. He evokes the sea, a storm, the great cavern itself, in a musical narrative that is bound as tightly together as any movement of a symphony. Nobody knows whether Bach had a trumpeter who could play the stratospherically high part in this concerto. 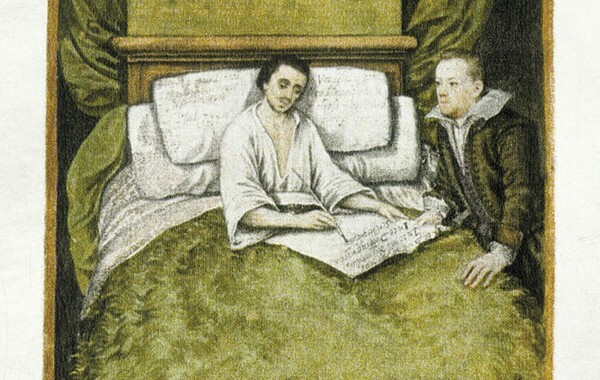 This is Bach at his most joyful, with the trumpet in dialogue with flute, oboe and violin. Less well-known than 1812 or Romeo and Juliet, Tchaikovsky’s Hamlet is his most powerful overture. It doesn’t attempt to follow the plot of the play, but it makes a satisfying musical structure evoking Hamlet himself, the ghost of his father, the tragic Ophelia, the warrior-prince Fortinbras, and the death of Hamlet. It also has one of the most spine-chilling gong strokes in music as the ghost appears (nearly five minutes in). Dvořák was brought up in rural Bohemia, but after years of struggle successfully negotiated his way to acceptance as a composer in the Viennese establishment. This lovely piece shows his great skill in taking simple ideas, almost like folk songs and developing complex structures out of them. Astonishingly, Shostakovich composed this symphony at the age of eighteen as his final assignment for graduation from the Leningrad Conservatoire. Apart from Mendelssohn, it is difficult to think of another composer who was quite so complete at this age. 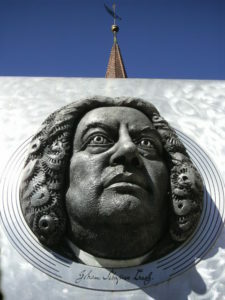 All the elements of his later symphonies are already there – bitter irony, menace, passion, and an impression of trying to make sense of a chaotic world. Bizet’s music for a tragic love story includes this beautiful piece for strings. It makes one ache for all the music that Bizet did not survive to write – he died at the age of 36. Schubert’s life was five years shorter than Bizet’s, but he crammed into it more than 600 songs and nine symphonies. It was many years before his symphonies were fully appreciated. This one is the sunniest of all of them. 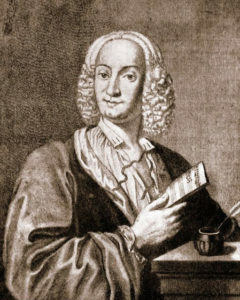 Vivaldi took the concerto of Corelli and broadened its expressive possibilities. This bold and vigorous movement is from one of the concertos that J. S. Bach later arranged for solo harpsichord. This is one of many works of Sibelius inspired by episodes from the collection of Finnish traditional poetry, The Kalevala. A sacred swan swims on the black waters of the river that surrounds Tuonela, the land of the dead. Sibelius conjures up the darkest of images, with a solo cor anglais floating over deep and mysterious chords. Charles Ives was one of the great innovators of the early twentieth century, writing music of daring originality that was hardly played during his lifetime but was to be highly influential in later years. Putnam’s Camp is set during US Independence Day celebrations on 4th July. A child wanders into the woods and sees a vision of General Israel Putnam, one of the heroes of the Revolution. Ives builds the piece from a wild medley of American songs and marches. Robert Philip was a senior lecturer in music at the Open University and is a well-known presenter on BBC Radio. He is the award-winning author of Performing Music in the Age of Recording and lives in Edinburgh, Scotland. 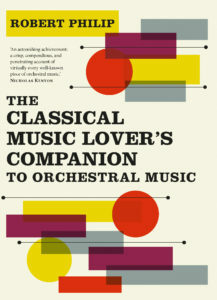 His latest book, A Classical Music Lover’s Companion to Orchestral Music (October 2018), is an essential handbook for lovers of classical music, designed to enhance their listening experience to the full. Covering four hundred works by sixty-eight composers from Corelli to Shostakovich, this engaging companion explores and unpacks the most frequently performed works, including symphonies, concertos, overtures, suites, and ballet scores. It offers intriguing details about each piece while avoiding technical terminology that might frustrate the non-specialist reader.